The Cure Documentary DVD inc. delivery within Australia – AUD$30 Stock Low. Please contact us for more information. 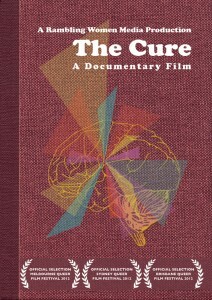 The Cure Documentary DVD inc. delivery Overseas – AUD$35 Stock Low. Please contact us for more information. Prices are inclusive of postage charges. Please allow 5-7 working days from the date for purchase for local delivery, and 14 working days for international delivery. A discount is available for approved charity or educational purchases. The DVD is Region Free. Please contact us directly for more information at ramblingwomenmedia@gmail.com.